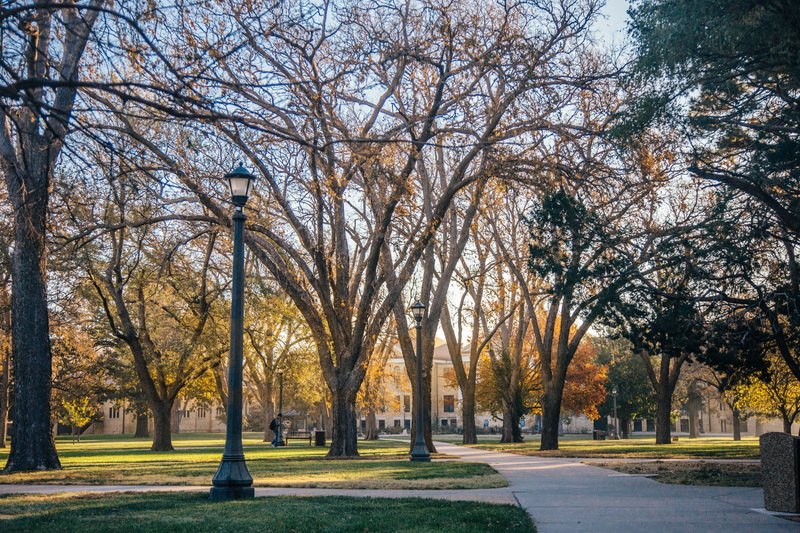 HAYS, Kan. – With a campus full of trees and a plan to take care of them, Fort Hays State University has been recognized as a leader in promoting healthy trees and conservation by the Arbor Day Foundation Tree Campus USA program. The program’s criteria are establishing a tree advisory committee; evidence of a campus tree-care plan; dedicated annual expenditures for its campus tree program; an Arbor Day observance; and sponsorship of student service-learning projects. “We are proud to be one of the six Tree Campus USA universities in the state of Kansas and the only one in western Kansas, said Dr. Teresa Clounch, an assistant vice president for student affairs at FHSU and chair of the FHSU Tree Campus USA Committee. Tigers For Trees can be found on Facebook and Instagram. “What I am most proud of is the campus and community collaboration. We have undergraduate students from one of our 18 learning communities, graduate students and faculty from biology, representatives from the Kansas Forest Service and the county horticulture extension office, and from university grounds,” she said. “Your entire campus community should be proud of this sustained commitment to environmental stewardship,” said Lauren Weyers, program coordinator for the Arbor Day Foundation, in the letter announcing the recognition. Clounch also noted plans for the university to take part in the city’s Arbor Day celebration on Thursday, April 19. As part of the lead-in to that celebration, she said, Tigers for Trees will share information about campus efforts and offer a tree tour of campus on Tuesday, April 17.